Over/Under: Under 158.5 at 1.90 Bet Now! This is a game that is being billed as a clash between two of the most on fire and on form teams in the Euroleague at the moment. The hosts have just two games in a row on the road and the away side is coming into this one with a three game winning run behind them. 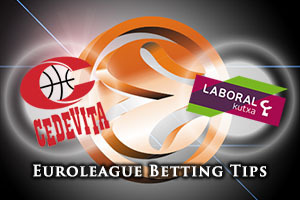 Its great news that Cedevita have won two on the road but the fact that they have a 2-2 record indicates that they have managed to lose two home games so far. They therefore head into this game without a home win and looking to win in front of the Zagreb fans for the first time this season. Miro Bilan has been in excellent form in the recent wins and if he or Luka Babic can step up and play well, the hosts could be close to getting that elusive first home win of the campaign, which would be of great benefit. The away side can also boast of great form and their 1-3 record has made a few people take notice. The fact that Ioannis Bourousis and Darius Adams have both walked away with MVP of the Week honours in this run indicates how dominating they have been. Bourousis is the leader when it comes to performance index rating so far and Adam Hanga has caught the eye with some strong performance so far this campaign. If the Spanish side can grab another away win, they’ll be looking good going into the latter half of the regular season in Group B. 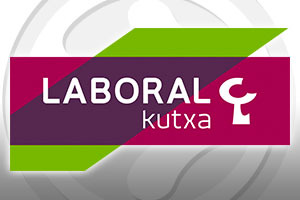 The Spanish side just have the edge with the bookmakers and taking Laboral with a -4.5 handicap, at odds of 1.90, is likely to be a decent bet for Friday evening. If you are looking to get involved with the Over/Under market, look to get involved with UNDER 158.5 which is available at odds of 1.90. Bet Now!